High quality Golden Taklon filaments of three diameters are assembled to produce a solid performer at a very affordable price. 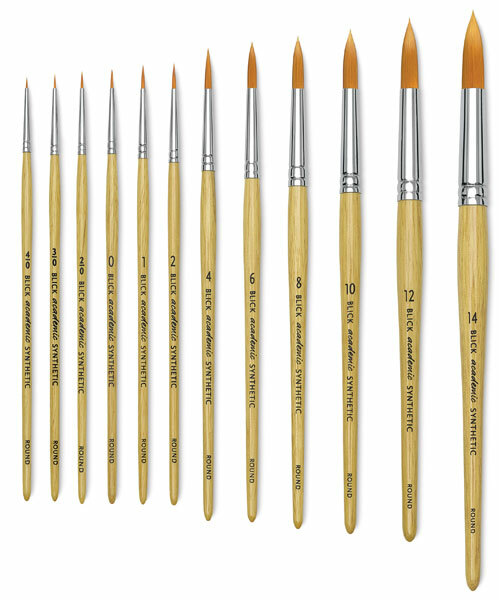 These brushes perform well with watercolors and acrylics. 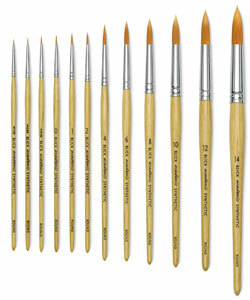 Set of 6 — This set includes sizes 0, 1, 2, 4, 6, and 8.